The Molly collection features casual upholstered pieces that fit beautifully in your home. 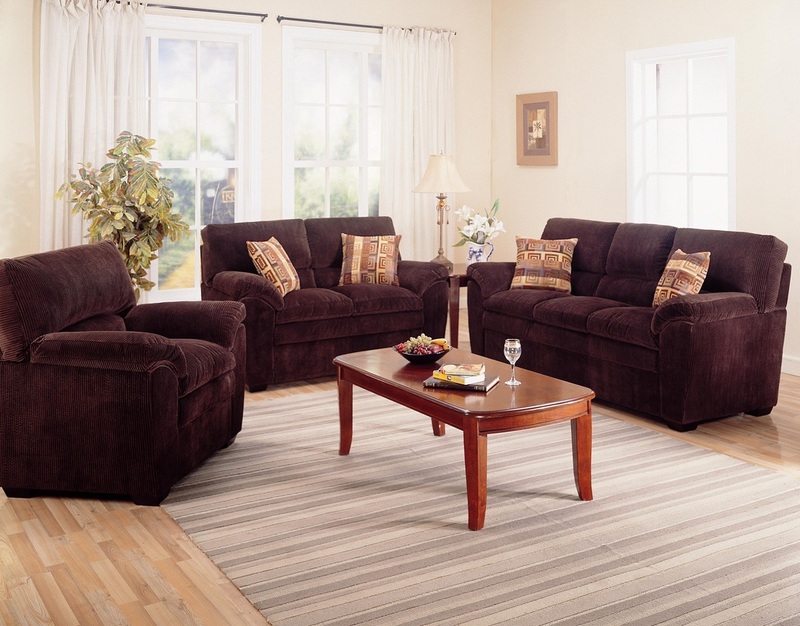 Appointed with casual elements like pillow-style armrests, padded seat backs and an ultra-soft corduroy upholstery fabric, the sofa and love seat provide optimal comfort and style. A coordinating chair completes the collection, bringing your seating capacity up to six guests. Accent pillows in an abstract pattern complement your choice of light Carmel or rich Dark Chocolate upholstery for enhanced style.